‘Stolen Lives' is a thought-provoking, creative new project which looks at the issues of historical and contemporary slavery through a combination of music, songs, words, images, film and animation.The aim is to raise awareness of modern-day slavery, human trafficking and trans-global child labour issues, thereby helping to inform today’s (and tomorrow’s) campaigners by providing them with a vibrant and engaging tool to help fight modern slavery. 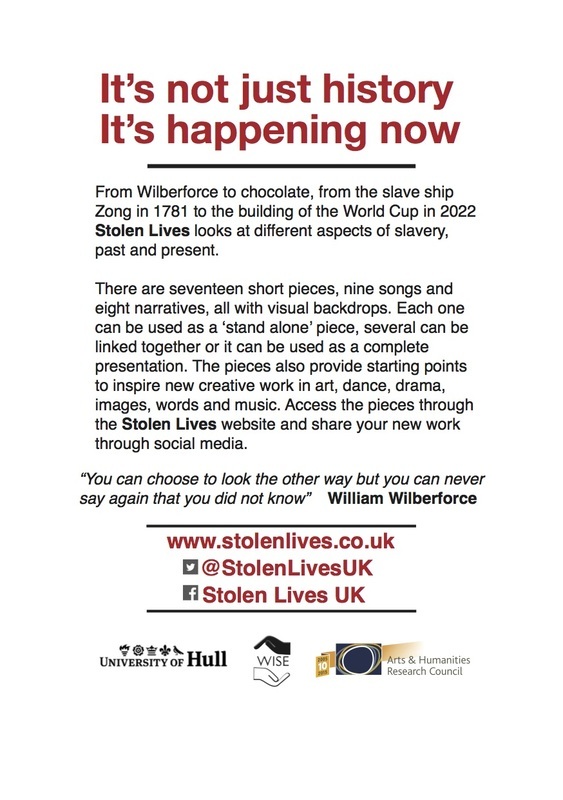 'Stolen lives' is a project of The Wilberforce Institute, University of Hull and supported by the Arts and Humanities Research Council. Stolen Lives looks at different aspects of slavery, past and present. There are seventeen short pieces, nine songs and eight narratives, all with visual backdrops. Each one can be used as a ‘stand alone’ piece, several can be linked together or it can be used as a complete presentation. The pieces also provide starting points for discussion and to inspire new creative work in art, dance, drama, images, words and music. 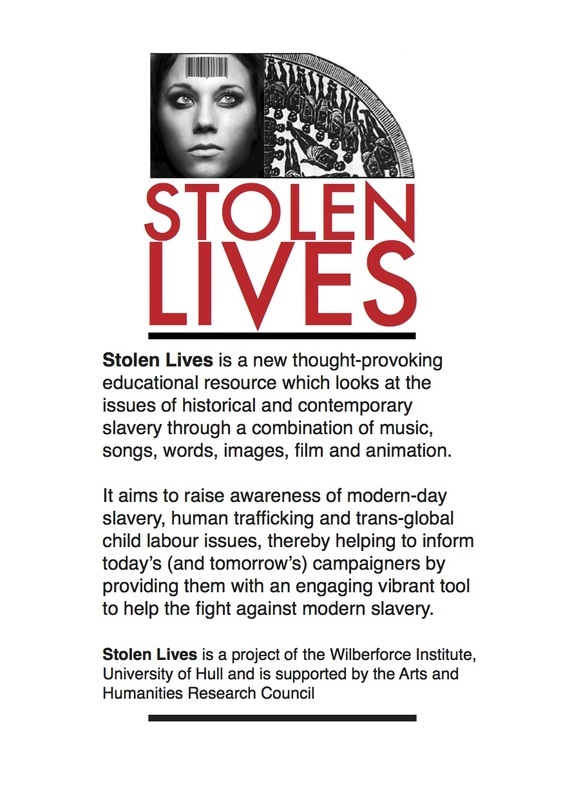 The Stolen Lives website allows these reponses to be up-loaded and shared.